Our colorful hand-lettered poster of the USA is on sale. This poster is fun for all ages and grades. 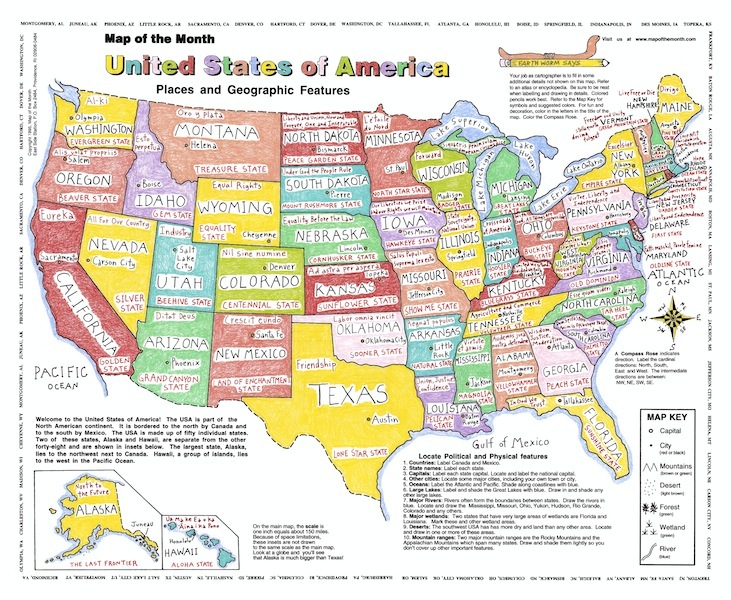 All the mottos and nicknames of all 50 states! 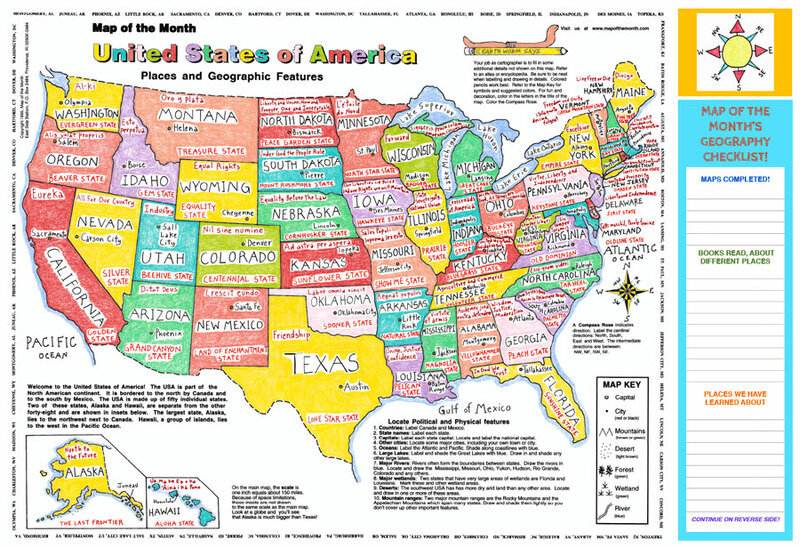 All State names and state capitals too!